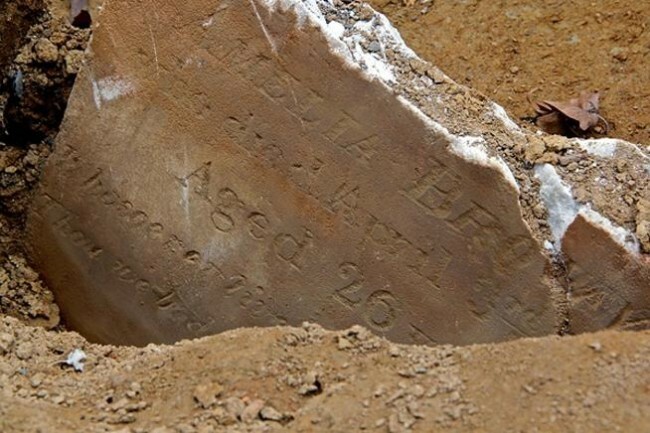 Thirty-nine-year-old Mary Ann Miller died this date, May 8th, in 1843 and was buried at Bethel Burying Ground. Forty-three-year-old Mary Ann Miller died this date, May 8th in 1843, of Tuberculosis and was buried at Bethel Burying Ground. Ms. Miller was a dressmaker, according to the 1838 “Register of the Trades of Colored People in the City of Philadelphia and the Districts.” She worked out of her home at the corner of #1 Gray’s Alley and 2nd Street, near the Delaware River docks and the center of the city’s import/export business. The 1837 Philadelphia African American Census reported that eighty-two Black women made their living by dressmaking at the artisan level. Gray’s Alley was a small narrow alleyway that contained twenty-five African American families totaling seventy-three individuals, according to the 1847 Philadelphia African American Census. The crowded underventilated lodgings were the perfect environment for the disease that killed Mary Ann Miller. The male members of the families on Gray’s Alley were laborers, usually working as porters at the Delaware docks, and the female family members were laundresses or domestics who worked in the homes of the wealthy merchants nearby. Families would live in one room in the two and three-storied brick homes that were built before the Revolution. The rooms were commonly 10’x10′ for which the rent was around $1 – $2 a week. Ms. Miller would have lived through the thirteen years of mob violence against Philadelphia’s people of color prior to her death. In 1842, the year before she died, there was a three-day riot in August that saw white mobs loot and burn Black homes, churches and public buildings. Black men and women were assaulted and forced to flee the city. There was never an accurate accounting of murdered African Americans. No whites were held significantly accountable. The mayor criticized the African Americans of the city for being provocative by demanding their civil rights.